The upholstery of the car is one of the elements that must be kept in our vehicle, not only to have the best appearance but also to have a longer lifespan. 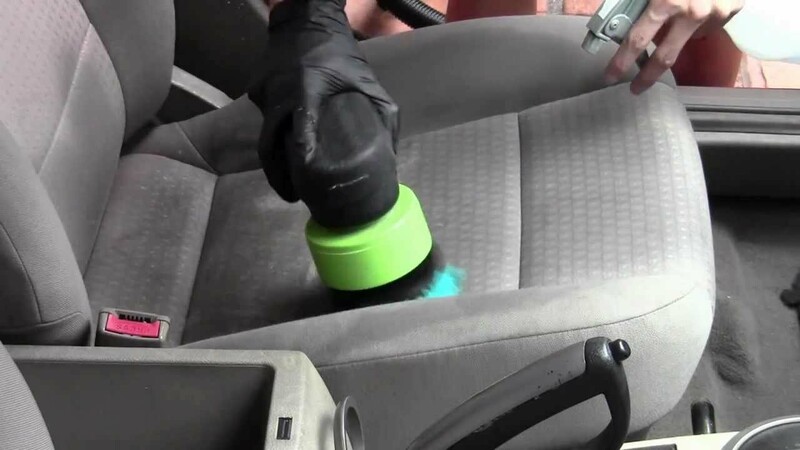 For cleaning the car upholstery you have to follow a series of guidelines, but also use the most appropriate products. It is not the same to clean leather upholstery than cloth upholstery. In this article, we are going to give you some guidelines so that your upholstery is always in the best possible state. To give a good maintenance to the upholstery, it is best to give it an aspiration every week, something that must be done from the central part of the seat or backrest and do it outwards. If there is vomit in the upholstery you have to act quickly before the acid ends up seriously affecting the fabric of the upholstery. When it happens you have to use soap and water to eliminate the power of acid and quickly eliminate the bad smells that this produces. If mud falls, it is best to wait until it dries and then you will have to rub with a brush. When it is removed, it is necessary to use a brush moistened in water, with which we will correctly remove all possible stains. In the event that grease has fallen, use specific products against it, but make sure they do not affect the car’s upholstery. These are some of the many kinds of stains that any fabric car’s upholstery can have. Not all are easy to remove, so the best thing to do is to let the experts take charge and leave the upholstery as new. Although it is not very common, there are many cars that have leather upholstery inside, something luxurious that looks great, but it is something that you have to pay special attention because it requires a very special care. In spite of this, it is still something as simple as changing the coolant, although we must take into account certain observations so as not to mistreat the skin of the seats, which would cause them to become very disfigured. As with virtually all cars cleaning, fabric upholstery, this kind of upholstery requires a deep suction before beginning the cleaning process. With this, we will eliminate any kind of residue and also the dust that may be on the surface or in any nook of the upholstery. Once we have done this, we will need cotton towel moistened with water and pass it through the upholstery; with this, we will eliminate the dirt that has not been removed with the vacuum cleaner and also the slight stains. In the market, we can find a large number of leather cleaners, which will be useful for the next step. With a different cloth, we will apply the product on all the upholstery, always doing it in a soft way, trying to distribute the product throughout the upholstery. Once done we can remove the excess product, if any, and then use a leather conditioner. This product will make the skin of the upholstery hydrate and stay always in the best conditions of elasticity and brightness. Afterwards, we will only have to pass a dry chamois and leave it well shining and in optimal conditions. It is an operation that must be done at least twice a year and even if it takes some time, it will allow us to have the upholstery as new.